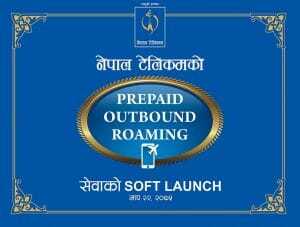 Nepal Telecom (NTC) has made a soft launch of international roaming in their prepaid service. Earlier the international roaming service was only available in GSM postpaid mobile. Firstly, the outbound prepaid roaming service will be available to India and China. 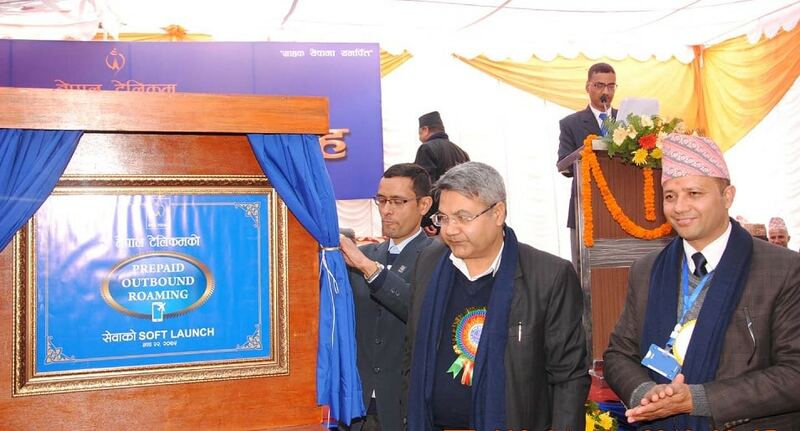 In the 15th-anniversary official program of Nepal Telecom, MoCIT Minister Mr. Gokul Baskota inaugurated the start of the prepaid roaming service in Nepal Telecom. Roaming service allows a customer outside of their home country to get access to the mobile network for the voice call, SMS and data with their own mobile number. As the customer can travel to any foreign country, international roaming service will help them use the mobile service without any hassle. Roaming service allows a customer to travel across various countries and access to the mobile network without changing their SIM card and number. It is suited for the people who travel often abroad for business, trade, tourism, and several other works. The international roaming service was first started with the GSM mobile service and now it is available in 3G, 4G mobile networks as well. Nepal Telecom started the International roaming service back in 2001. Till now, they have partnered with 192 operators in 86 countries. For instance, if you take your Nepal Telecom SIM card (with international roaming service) in those countries, you will be able to use the mobile service. The customer had to deposit Rs 30,000 for international roaming service in postpaid mobile. Now from Jan 1, 2019, they have dropped the amount to Rs 10,000. Read Also: Prepaid vs Postpaid. Now with the start of the service, Ntc prepaid customers can take the international roaming in their prepaid mobile without any deposit. They can use the balance in their mobile for this outbound roaming service. As known, the roaming service will first come to neighboring countries India and China in the first phase. They will provide the international roaming service in prepaid to all other countries gradually. They have said it is a soft launch. But it is not known how to enable the service in customer’s prepaid mobile. They will soon launch it full-fledged and make the procedure available to the public.